This morning I was reading from the Srimad Bhagavatam, First Canto, Chapter 7, entitled “The Son of Drona Punished”. 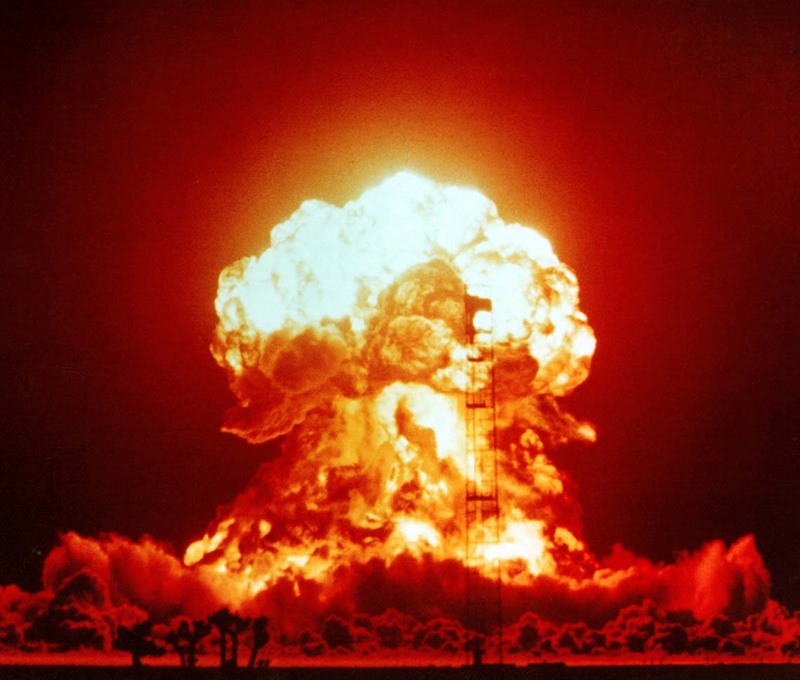 This chapter has always intrigued me, because although the Srimad Bhagavatam was compiled by Srila Vyasedeva five thousand years ago, there is mention of the ultimate weapon, the brahmāstra [nuclear weapon] being used. 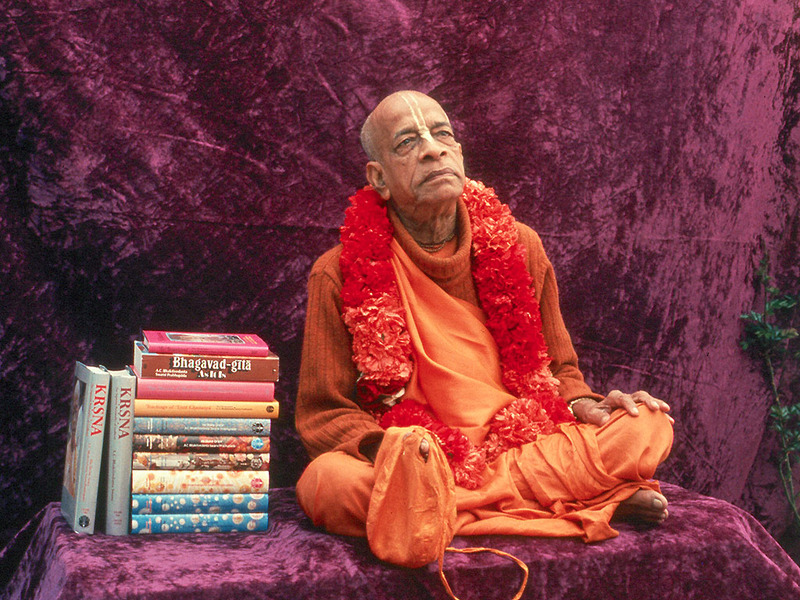 We think that Atomic energy or Nuclear energy is some modern technological advancement, but actually this knowledge has been around since the time that Srimad Bhagavatam was first spoken, many thousands of years ago. 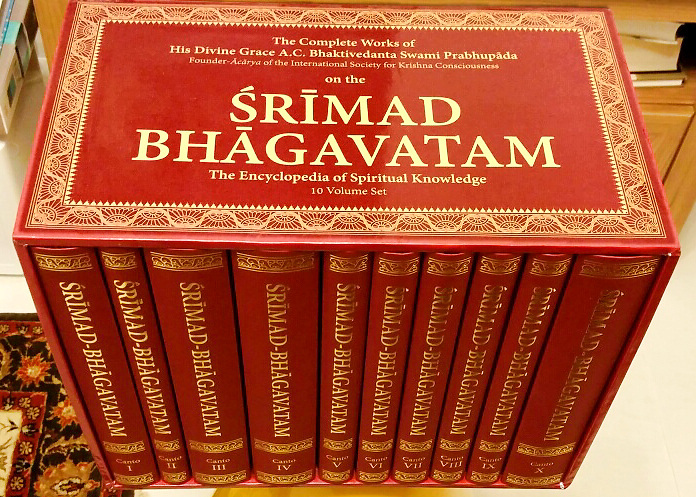 There are original, unrevised, first edition, unadulterated, bona fide sets of Srimad-Bhagavatam available. This has been confirmed and duly reconfirmed by devotees in England, Australia and America. I humbly suggest that you should take advantage of this opportunity while they are still available. 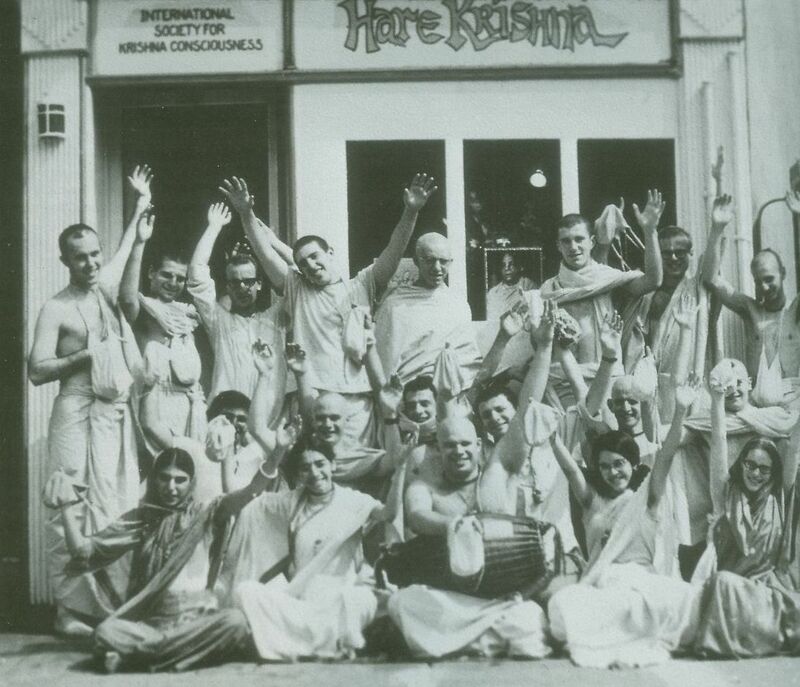 Yours in Srila Prabhupada’s service and in the service of His bona fide disciples. BBT India and Jitarati Das court case amicably settled in Bombay High Court! Justice Kathawala before whom the matter of printing the Srimad Bhagavatam 10 volumes by Jitarati Das came up on 16th May 2018, requested the parties to try to mediate and settle the matter out of court and come back to him. BBT India represented by HH Gopal Krishna Goswami, HG Bhima Das and Ananda Tirtha Dasa mediated with Jitarati Das and has settled the matter. 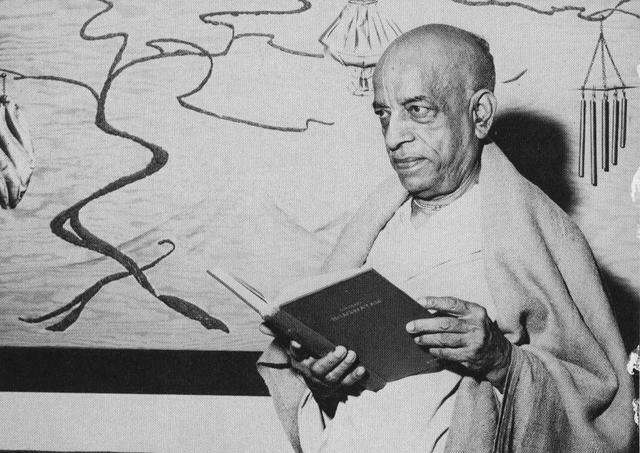 Both parties have resolved their differences and have agreed to work together for the pleasure of Srila Prabhupada. 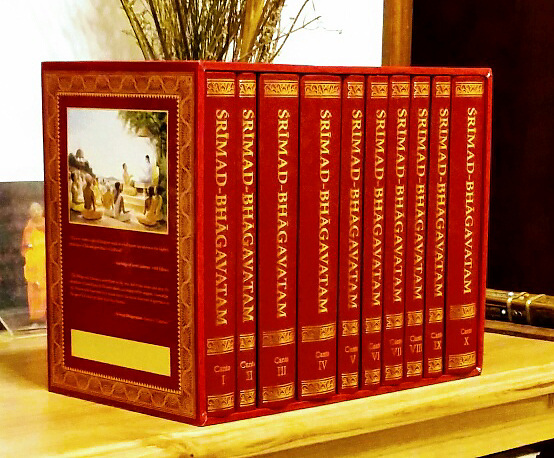 BBT India will print and make available the Srimad Bhagavatam in 10 volumes format (Nine Cantos and Krishna Book) WITHOUT 11th and 12th Canto. 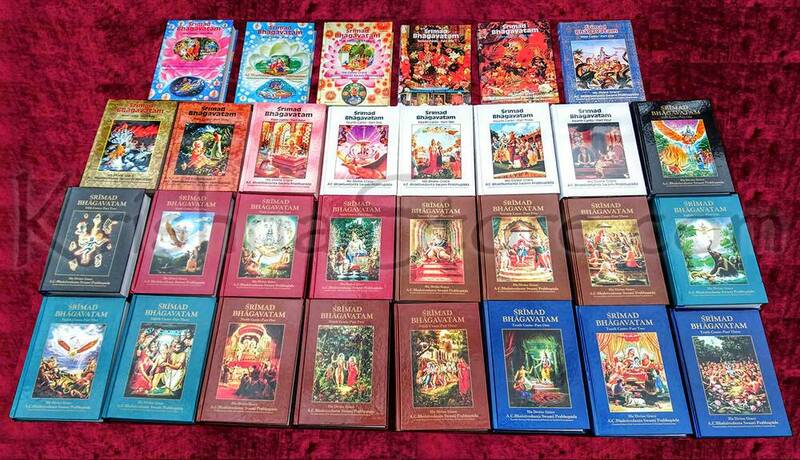 Jitarati Das has agreed to distribute the present printed sets outside of India by developing a new market outside of ISKCON circles. This court settlement was recorded by the Justice and the suit is closed. Today marks the Appearance of Lord Vamanadeva. 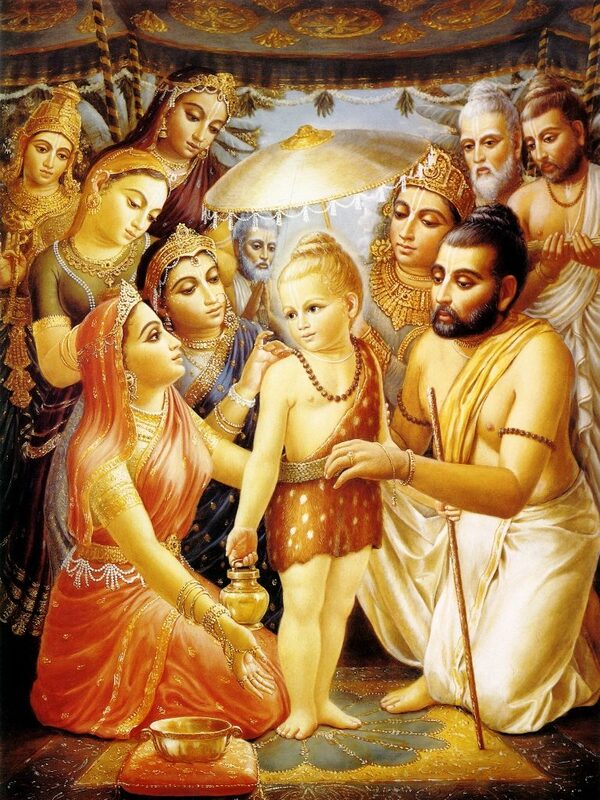 We have posted the summaries of the 18th – 22nd chapters from the eight canto of the Srimad-Bhagavatam, which briefly describes the pastimes of Lord Vamanadeva and Bali Maharaja. This chapter describes how Lord Vāmanadeva appeared and how He went to the sacrificial arena of Mahārāja Bali, who received Him well and fulfilled His desire by offering Him benedictions. 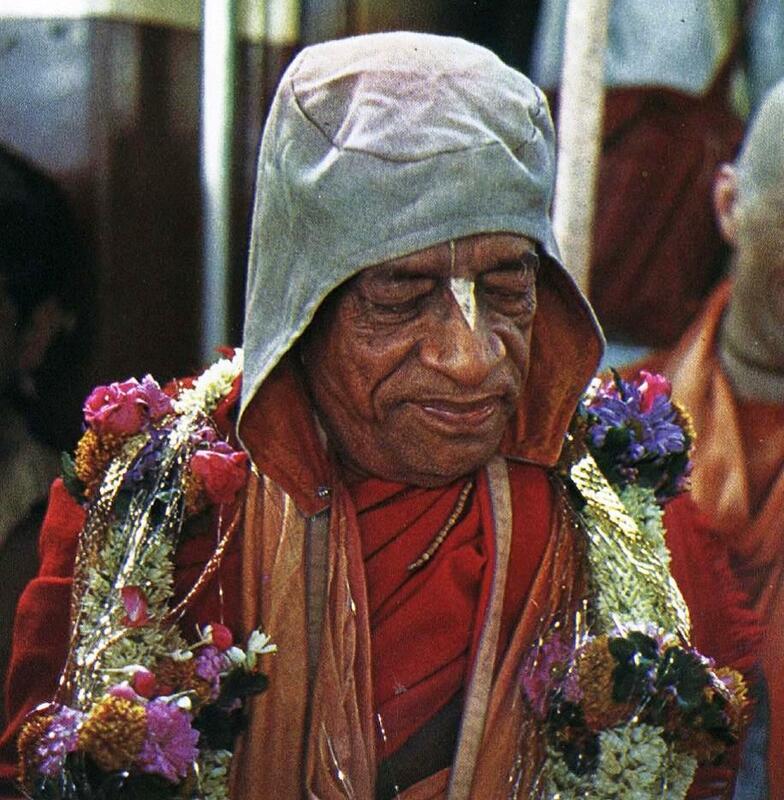 …Just like a desire tree, a Vaiṣṇava can fulfill all the desires of anyone who takes shelter of his lotus feet… he prays not for himself, but for all living entities—the gentle, the envious and the mischievous…This is the attitude of a Vaiṣṇava, who always thinks of the welfare of the entire universe. 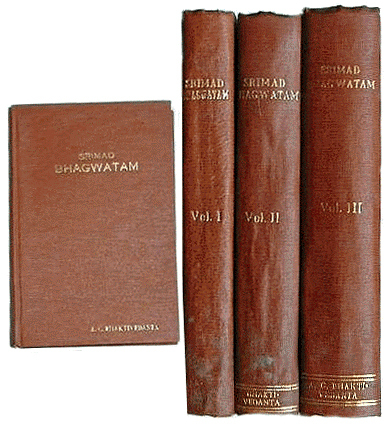 For a free download of these Original Srimad Bhagwatam’s please click on following links, please allow a few moments for them to load and then you can view or save them.